Your home – Our pride. We’re all proud of our homes and the decision to invest in windows and doors is an important one. Beautiful looks, lasting performance, high security and energy efficiency are the key ingredients in our products. 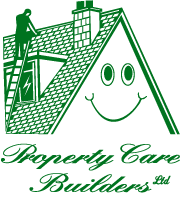 Property Care Builders are able to help you make the right investment for your home. With a KÖMMERLING window or door you can also be rest assured that you’ll be choosing a product that’s designed by some of Europe’s top engineers in the construction and home improvements markets. Not all PVCu window and door systems are the same. Much like the German car industry is respected for its product development programme, Kommerling have made the same impact in the construction and home improvement sectors.